211260 F4AE Iveco F4AE series diesel engine. 211261 F4AE0484B*D100 Iveco F4AE0484B*D100 Industrial Diesel Engine Spare Parts Catalog. 211262 F4AE0484B*D101 Iveco F4AE0484B*D101 Industrial Diesel Engine Spare Parts Catalog. 211263 F4AE0484B*D102 Iveco F4AE0484B*D102 Industrial Diesel Engine Spare Parts Catalog. 211264 F4AE0484B*D103 Iveco F4AE0484B*D103 Industrial Diesel Engine Spare Parts Catalog. 211265 F4AE0484C*D102 Iveco F4AE0484C*D102 Industrial Diesel Engine Spare Parts Catalog. 211266 F4AE0484C*D103 Iveco F4AE0484C*D103 Industrial Diesel Engine Spare Parts Catalog. 211267 F4AE0684C*D102 Iveco F4AE0684C*D102 Industrial Diesel Engine Spare Parts Catalog. 211268 F4AE0684C*D103 Iveco F4AE0684C*D103 Industrial Diesel Engine Spare Parts Catalog. 211269 F4AE0684C*D104 Iveco F4AE0684C*D104 Industrial Diesel Engine Spare Parts Catalog. 211270 F4AE0684F Iveco F4AE0684F Industrial Diesel Engine Spare Parts Catalog. 211271 F4AE0684K Iveco F4AE0684K Industrial Diesel Engine Spare Parts Catalog. 211272 F4AE0684L Iveco F4AE0684L Industrial Diesel Engine Service (workshop / repair) Manual. 211273 F4AE0684N*D103 Iveco F4AE0684N*D103 Industrial Diesel Engine Spare Parts Catalog. 211274 F4AE0684P*D102 Iveco F4AE0684P*D102 Industrial Diesel Engine Spare Parts Catalog. 211275 F4AE0686B Iveco F4AE0686B Industrial Diesel Engine Service (workshop / repair) Manual. 211276 F4AE0687A*B100 Iveco F4AE0687A*B100 Industrial Diesel Engine Spare Parts Catalog. 211277 F4AE3481D*P103 Iveco F4AE3481D*P103 Industrial Diesel Engine Spare Parts Catalog. 211278 F4AE0685A*F100 Iveco F4AE0685A*F100 Genset Engine Spare Parts Catalog. 211279 F4AE0685A*F101 Iveco F4AE0685A*F101 Genset Engine Spare Parts Catalog. 211280 F4AE0684B*D103 Iveco F4AE0684B*D103 Diesel Engine for Agricultural applicatin Spare Parts Catalog. 211281 F4AE0481A Iveco F4AE0481A Automotive Diesel Engine Service (workshop / repair) Manual. 211282 F4AE0481A*C10 3 Iveco F4AE0481A*C10 3 Automotive Diesel Engine Spare Parts Catalog. 211283 F4AE0481A*C10 6 Iveco F4AE0481A*C10 6 Automotive Diesel Engine Spare Parts Catalog. 211284 F4AE0481C Iveco F4AE0481C Automotive Diesel Engine Service (workshop / repair) Manual. 211285 F4AE0481C*C10 2 Iveco F4AE0481C*C10 2 Automotive Diesel Engine Spare Parts Catalog. 211286 F4AE0481C*C10 3 Iveco F4AE0481C*C10 3 Automotive Diesel Engine Spare Parts Catalog. 211287 F4AE0481D Iveco F4AE0481D Automotive Diesel Engine Spare Parts Catalog. 211288 F4AE0481D*C153 Iveco F4AE0481D*C153 Automotive Diesel Engine Spare Parts Catalog. 211289 F4AE0481E*C10 2 Iveco F4AE0481E*C10 2 Automotive Diesel Engine Spare Parts Catalog. 211290 F4AE0481E*C10 4 Iveco F4AE0481E*C10 4 Automotive Diesel Engine Spare Parts Catalog. 211291 F4AE0481E*C10 5 Iveco F4AE0481E*C10 5 Automotive Diesel Engine Spare Parts Catalog. 211292 F4AE0681A*C157 Iveco F4AE0681A*C157 Automotive Diesel Engine Spare Parts Catalog. 211293 F4AE0681D*C150 Iveco F4AE0681D*C150 Automotive Diesel Engine Spare Parts Catalog. 211294 F4AE0682C*C117 Iveco F4AE0682C*C117 Automotive Diesel Engine Spare Parts Catalog. 211295 F4AE0682C*C119 Iveco F4AE0682C*C119 Automotive Diesel Engine Spare Parts Catalog. 211296 F4AE0682C*C151 Iveco F4AE0682C*C151 Automotive Diesel Engine Spare Parts Catalog. 211297 F4AE0682D*C159 Iveco F4AE0682D*C159 Automotive Diesel Engine Spare Parts Catalog. 211298 F4AE0682H*C10 5 Iveco F4AE0682H*C10 5 Automotive Diesel Engine Spare Parts Catalog. 211299 F4AE3481D*R102 Iveco F4AE3481D*R102 Automotive Diesel Engine Spare Parts Catalog. 211300 F4AE3481D*R103 Iveco F4AE3481D*R103 Automotive Diesel Engine Spare Parts Catalog. 211301 F4AE3681A*R100 Iveco F4AE3681A*R100 Automotive Diesel Engine Spare Parts Catalog. 211302 F4AE3681B*P107 Iveco F4AE3681B*P107 Automotive Diesel Engine Spare Parts Catalog. 211303 F4AE3681B*R107 Iveco F4AE3681B*R107 Automotive Diesel Engine Spare Parts Catalog. 211304 F4AE3682A*R105 Iveco F4AE3682A*R105 Automotive Diesel Engine Spare Parts Catalog. 211305 F4AE3682E*P104 Iveco F4AE3682E*P104 Automotive Diesel Engine Spare Parts Catalog. 211306 F4AE3682E*R104 Iveco F4AE3682E*R104 Automotive Diesel Engine Spare Parts Catalog. 211307 F4AE3682E*R105 Iveco F4AE3682E*R105 Automotive Diesel Engine Spare Parts Catalog. 211308 F4AE3682E*S106 Iveco F4AE3682E*S106 Automotive Diesel Engine Spare Parts Catalog. 211309 F4AE3682F*P102 Iveco F4AE3682F*P102 Automotive Diesel Engine Spare Parts Catalog. 211310 F4AE3682F*R103 Iveco F4AE3682F*R103 Automotive Diesel Engine Spare Parts Catalog. 211311 F4AE3682F*R104 Iveco F4AE3682F*R104 Automotive Diesel Engine Spare Parts Catalog. 211320 F4BE Iveco F4BE series diesel engine. 211321 F4BE0454A*D601 Iveco F4BE0454A*D601 Industrial Diesel Engine Spare Parts Catalog. 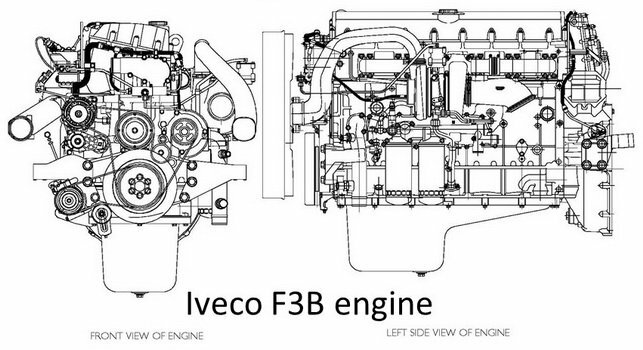 211322 F4BE0454B Iveco F4BE0454B Industrial Diesel Engine Service (workshop / repair) Manual. 211323 F4BE0484D Iveco F4BE0484D Industrial Diesel Engine Service (workshop / repair) Manual. 211324 F4BE0484E Iveco F4BE0484E Industrial Diesel Engine Service (workshop / repair) Manual. 211325 F4BE0484F*D606 Iveco F4BE0484F*D606 Industrial Diesel Engine Spare Parts Catalog. 211326 F4BE0684B Iveco F4BE0684B Industrial Diesel Engine Service (workshop / repair) Manual. 211327 F4BE0684K Iveco F4BE0684K Industrial Diesel Engine Service (workshop / repair) Manual. 211328 F4BE0641A*G102 Iveco F4BE0641A*G102 Automotive Gas Engine Spare Parts Catalog. 211329 F4BE0641A*G103 Iveco F4BE0641A*G103 Automotive Gas Engine Spare Parts Catalog. 211330 F4BE0641A*G105 Iveco F4BE0641A*G105 Automotive Gas Engine Spare Parts Catalog. 211331 F4BE0647A*B100 Iveco F4BE0647A*B100 Gas Engine Spare Parts Catalog. 211340 F4CE Iveco F4CE series diesel engine. 211341 F4CE9684L Iveco F4CE9684L Industrial Diesel Engine Service (workshop / repair) Manual. 211342 F4CE9684N Iveco F4CE9684N Industrial Diesel Engine Service (workshop / repair) Manual. 211343 F4CE0304A*D600 Iveco F4CE0304A*D600 Diesel Engine for Agricultural applicatin Spare Parts Catalog. 211344 F4CE0404C Iveco F4CE0404C Diesel Engine for Agricultural applicatin Service (workshop / repair) Manual. 211345 F4CE0404D Iveco F4CE0404D Diesel Engine for Agricultural applicatin Service (workshop / repair) Manual. 211346 F4CE0404E Iveco F4CE0404E Diesel Engine for Agricultural applicatin Service (workshop / repair) Manual. 211347 F4CE0454A*D604 Iveco F4CE0454A*D604 Diesel Engine for Agricultural applicatin Spare Parts Catalog. 211348 F4CE0454A*D607 Iveco F4CE0454A*D607 Diesel Engine for Agricultural applicatin Spare Parts Catalog. 211349 F4CE9484A Iveco F4CE9484A Diesel Engine for Agricultural applicatin Service (workshop / repair) Manual. 211350 F4CE9484L Iveco F4CE9484L Diesel Engine for Agricultural applicatin Service (workshop / repair) Manual. 211351 F4CE9484M*J601 Iveco F4CE9484M*J601 Diesel Engine for Agricultural applicatin Service (workshop / repair) Manual. 211352 F4CE9484M*J602 Iveco F4CE9484M*J602 Diesel Engine for Agricultural applicatin Service (workshop / repair) Manual. 211353 F4CE9484M*J603 Iveco F4CE9484M*J603 Diesel Engine for Agricultural applicatin Service (workshop / repair) Manual. 211354 F4CE9484N Iveco F4CE9484N Diesel Engine for Agricultural applicatin Service (workshop / repair) Manual. 211355 F4CE9487J Iveco F4CE9487J Diesel Engine for Agricultural applicatin Service (workshop / repair) Manual. 211356 F4CE9487M Iveco F4CE9487M Diesel Engine for Agricultural applicatin Service (workshop / repair) Manual. 211360 F4DE Iveco F4DE series diesel engine. 211361 F4DE9684A Iveco F4DE9684A Industrial Diesel Engine Service (workshop / repair) Manual. 211362 F4DE9684E Iveco F4DE9684E Industrial Diesel Engine Service (workshop / repair) Manual. 211363 F4DE9684Q Iveco F4DE9684Q Industrial Diesel Engine Service (workshop / repair) Manual. 211364 F4DE9684W Iveco F4DE9684W Industrial Diesel Engine Service (workshop / repair) Manual. 211365 F4DE9684X Iveco F4DE9684X Industrial Diesel Engine Service (workshop / repair) Manual. 211366 F4DE9687B Iveco F4DE9687B Industrial Diesel Engine Service (workshop / repair) Manual. 211367 F4DE0484A Iveco F4DE0484A Diesel Engine for Agricultural applicatin Service (workshop / repair) Manual.